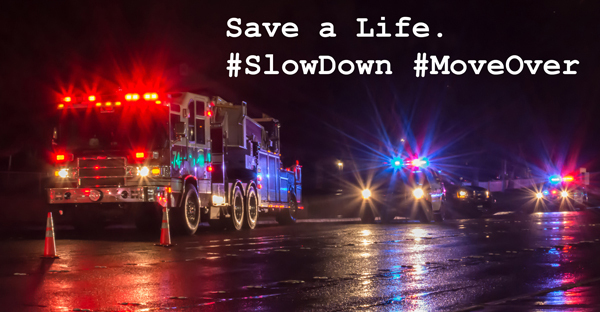 AUSTIN – After a recent outbreak of fatality and injury incidents involving tow truck drivers and other first responders, Texas motorists are asked to slow down or move over for stopped emergency vehicles including tow trucks, police cars and fire trucks. In the past few months, at least three Texas tow truck drivers and a towing customer have been struck and killed while on the side of the road. That statistic doesn’t include several Texas police officers who have been seriously injured when they were hit. 3, 2019: Tow truck operator Keith Holt was struck and killed by a hit-and-run driver in Grand Prairie as he was helping a single mom. 2, 2018: Tow truck customer Dylan Thomas Pietrzyk was struck and killed by an 18-wheeler as he waited to have his vehicle towed. 20, 2018: Tow truck operator Charles McGough was struck and killed by a hit-and-run driver in Fort Worth as he was working. 3, 2018: A Fort Worth Police Department officer was injured when he was hit by a car. Texas law requires drivers to slow down at least 20 miles per hour under the posted speed limit or, if able, to change lanes when they’re passing a first responder stopped on the road. “Please help us make sure emergency personnel including tow truck operators are safe when they’re trying to help people on our roadways. Slow down and move over. You can help prevent another tragedy just by taking the time to obey the law,” Francis said.